Our events chair manages all of the social and community outreach events in Sigma Gamma Tau. Please contact him for questions, suggestions, or ideas you may have as to how we are running these events or with any suggestions on events we could host or attend. 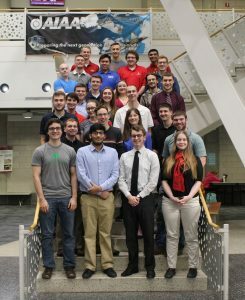 We look forward to helping the aerospace students and community at Iowa State.